When Whole Foods enters a new market, they do more than just open a store. They become part of the neighborhood. Community outreach has become just as synonymous with Whole Foods as the clean, organic foods they sell. 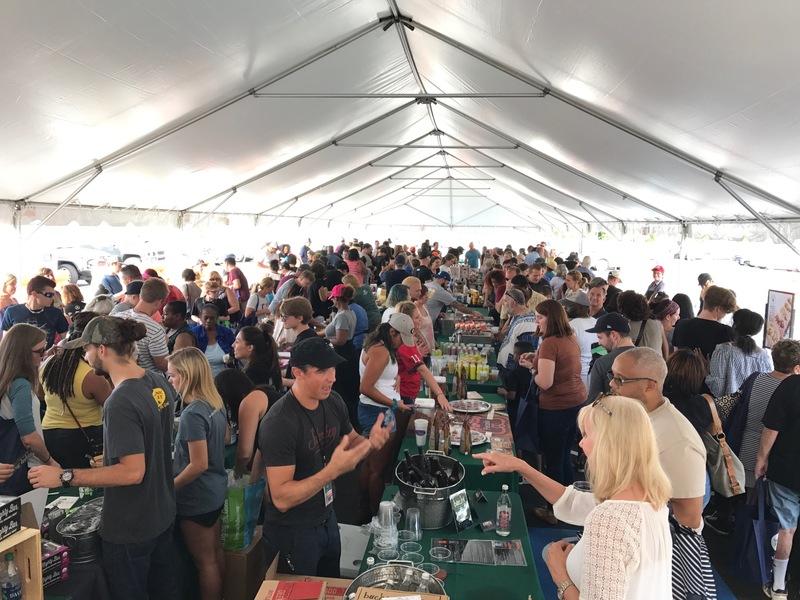 And, when they decided to open a store in Kennesaw, the first thing they did was ask what they can do to give back, add value, and endear themselves to the community. 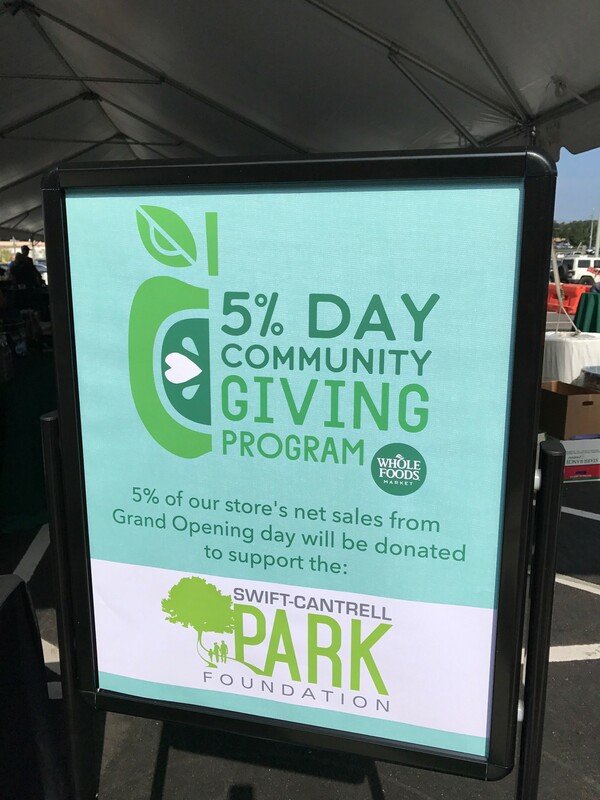 The Whole Foods Kennesaw store will have its grand opening on October 6th and has pledged 5% of opening day sales to the Swift-Cantrell Park Foundation. 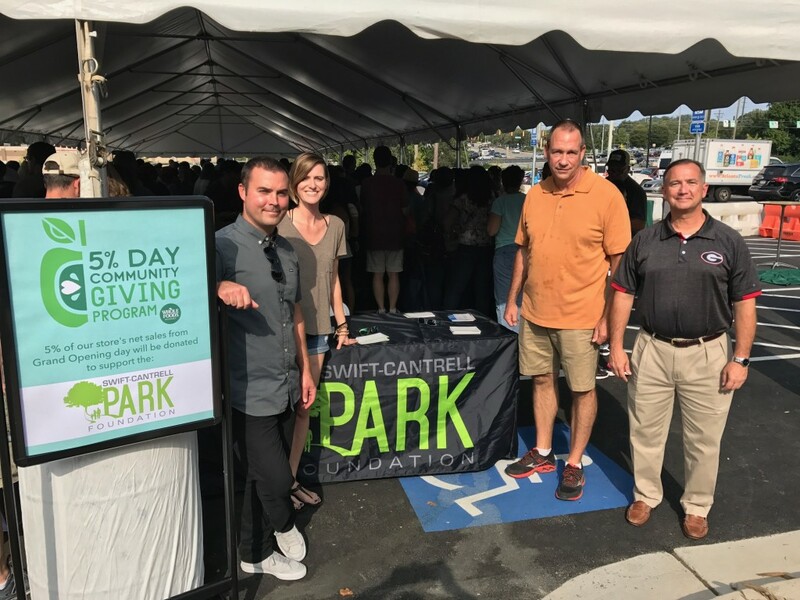 The Swift-Cantrell Park Foundation vows to make good use of the donation. 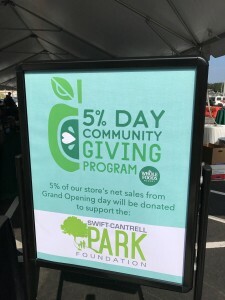 In addition to the support of Whole Foods, the Swift-Cantrell Park Foundation raises money by hosting a large 5k race (The Swift-Cantrell Classic), from sponsors like Gas South, and through donations from area residents. © 2015 Swift-Cantrell Park Foundation. Website by AndiSites Inc.